I posted the article below in July 2012 after some Article 7511 appeals overturned the decisions of 3020-a Arbitrators. I am posting it also as a heads up about the story I will do very soon on the most unfair and biased Arbitrator on the UFT-DOE panel in NYC right now: Eleanor Elovich Glanstein. People who receive unfair decisions in the 3020-a process should appeal these biased decisions! Arbitrator David Hyland ruled in February 2011 that a NYC Dean had to "learn her lesson" and pay $7,000 for after she left her office for several minutes and the father of the student who was being discussed as threatening to commit suicide took home a note his son had written on a napkin. Hyland punished Dean Nicole Moreno-Lieberman for not preserving a copy of the note and for her "serious negligence...impeded the investigation". NYS Supreme Court Judge Lucy Billings says this fine is "shocking to the conscience...By delegating unbounded latitude to respondents and Hearing Officers in these administrative actions, the statutory and regulatory scheme leaves their decisions subject to untrammeled discretion." From Betsy Combier: Thank you, Judge Billings!!! 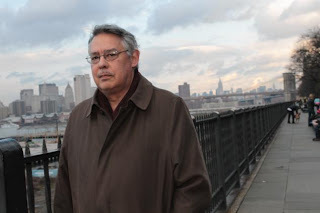 When I first started looking into the "NYC Rubber Rooms" and the teacher trials for tenured teachers, (3020-a) in 2003 after speaking with Polo Colon, teachers David Pakter, and Teddy Smith, I was stunned to see what was going on. In my opinion, Mayor Bloomberg had made a business out of framing people. Children and their parents were, and still are, bribed to lie about what a teacher has said or done, and the rewards are diverse, such as a higher score on a test, graduation from school, promotion to another grade level, etc, all done in secret with the administrators of the school and the Superintendents and even higher ups, Deputy Chancellors and the Chancellor himself - or herself, as in the case of Cathie Black. Putting all of this together is not difficult, as few people believe that apublic servant is actually out to "get" him or her until it is too late. If a teacher knew that the child(ren) were lying, all they had to do was contact the parent(s) or tell a superior what was going on, and sooner than a blink of the eye, the teacher is shot down with charges either about some corporal punishment that he/she didnt do, or the ever-ready charge of "actual" tampering with an investigation, which was slipped into Chancellor's Regulations A-420 in June 2009 is charged against him/her. Anyone can interpret what the term "actual tampering" means. My point here is, once the train has left the station, there is no stopping it. At least, that's what Mayor Bloomberg, the UFT, NYSUT and private Attorneys want teachers subjected to the rubberization process to believe. It just is not legally sound. What is "Actual Tampering?" "Actual" tampering, according to Federal law, specifically 18 U.S.C. §1503: "unlawful to "influence, obstruct, or impede the due administration of justice" and §1512, which proscribes intimidating, threatening, or corruptly persuading, through deceptive conduct, a person in connection with an official proceeding". Under 1503, a government agent must prove that a defendant acted "corruptly" with the specific intent to obstruct or interfere with the proceeding or due administration of justice. See United States v Bucey, 876 F.2d 1297, 1314 (7th Cir. 1989); United States v smith, 729 F. Supp. 1380, 1383-84 (D.D.C. 1990). Acting "corruptly": some courts have defined this term as acting with "evil and wicked purposes" see United States v Banks, 942 F.2d 1576, 1578 (11th Cir. 1991), but at the very least to "act corruptly" under the statute, a defendant must have acted with the specific intent to obstruct justice. See United States v Moon, 718 F2d 1219, 1236 (2d Cir. 1983): United States v. Bashaw, 982 F.2d 168, 170 (6th Cir. 1992); United States v Anderson, 798 F.2d 919, 928 (7th Cir, 1986; ) United States v Rasheed, 663 F.2 843, 847 (9th Cir. 1981). Thus it is not enough to prove that the defendant knew that a result of his actions might be to impede the administration of justice, if that was not his intent. Section 1512 specifically applies to "witness tampering": a defendant was proven to have knowingly engaged in intimidation, physical force, threats, misleading conduct, or corrupt persuasion with intent to influence, delay, or prevent testimony or cause any person to withhold objects or documents from an official proceeding. The defendant must be aware of the possibility of a proceeding and his efforts must be aimed specifically at obstructing that proceeding, whether pending or not; §1512 does not apply to defendants' innocent remarks or other acts unintended to affect the proceeding. See United States v Wilson, 565 F. Supp. 1416, 1431 (S.D.N.Y. 1983). None of this applies to most of the specifications currently charged teachers in NYC, but the DOE Gotcha Squad spends hundreds or thousands of dollars trying to prove "actual" tampering, anyway. As I mentioned above, this is a business and everyone profits (except the Respondent). From 2003 to 2008 there was little, if any, opposition to the false claims business run by the NYC DOE and the Office of General Counsel, headed by Theresa Europe ("the Gotcha Squad"). See also my article on the misinformation of the Bloomberg/klein/education mafia, Steven Brill for more on exactly how the Gotcha Squad works at 3020-a. Many people gave up, settled out of the 3020-a, resigned or retired. The effect of getting out early, before an arbitrator determined a punishment for your supposedly horrific misconduct or incompetency at 3020-a, was to put you in a precarious position as an ATR ("Absent Teacher Reserve") without rights or without any job at all. The NYC panel of Arbitrators are told by the Gotcha Squad to disregard these well known rules. Alan Berg, an Arbitrator on the panel, exonerated a teacher brought to 3020-a before him, and told me that he was punished by Theresa Europe for making the decision that he did; following his determination, he was moved from the Administrative Trials Unit (ATU) to the dreaded Teacher Performance Unit or TPU. I have heard Gotcha Squad member Dennis Da Costa screaming at Arbitrator Anne Powers that she "better do what he says, "or else".She does as she is told by Dennis. Additionally, Theresa Europe places everyone who has been charged on a blacklist which will hamper any employer from hiring you in the future. This blacklist is the notorious "Ineligible/Inquiry" List from which attorney Ed Wolf was able to remove Philomena Breenan. Ms. Europe can take people off if she wants, and she puts people on there also whenever she wants to, it seems to me. NYS Supreme Court Judge Alice Schlesinger ordered Ms. Europe to tell her how she, Europe, put people on the list and took the names off, in the case of Philomena Brennan v NYC DOE (Index no. 112977/09). The rubberization process is arbitrary, malicious, and discretionary. First of all, the Rubber Room Gotcha Squad is a group comprised mostly of attorneys who are given the authority by Mayor Michael Bloomberg and his allies in NYC to remove tenured teachers - or non-tenured, depending on the circumstances - from their classroom duties because someone in the chain of command at the NYC Department of Education wants them to be out of the school. It's very simple, really. Secondly, the initial targeting is followed by a strategy of threats, humiliation, fear and retaliation supported the Gotcha Squad as the group denies rights to anyone who opposes their false claims and conspiracy of harm. All anyone has to do to be a target is to ask, "Why? ", or "Where's the money?" (See the story of how Francesco Portelos ended up reassigned and on his way to 3020-a). Thirdly, the agents or messengers of harm must be protected, and given special status, so that those people who are fearless and refuse to be squashed by the Gotcha Squad's lawless lies and then the retaliation, threats and verbal abuse used to punish anyone who remains standing after #1 and #2 above, can be denied a resolution to the "problem", which is basically that these fearless souls wont go away never to be heard from again. Thus the Gotcha Squad's subgroups such as the Office of Equal Opportunity (OEO), Special Commissioner of Investigation (SCI) and Office of Special Investigation (OSI) are given authority similar to the SS in World War II (but not military; mostly civilian attorneys or people willing to follow the orders of the Mayor, the Chancellor, and the New York Law Department). The UFT and NYSUT, the legal arm of the teacher's union, can and do act in the interest of the Unity caucus, and not in support of individual members. Very few members believe me when I tell them this before they are brought to 3020-a, but many believe this is true after the 3020-a is over, and the Hearing Officer has made a decision that often does not rest on any fact or law. NYSUT attorneys often do not do a good job defending the member at 3020-a because, I was told, everyone charged is presumed "guilty". In fact, the Unity brass told me over and over again that all people housed in the infamous "rubber rooms" - which today are smaller rooms with a few re-assigned DOE employees in each room in an office or school - are not supposed to talk to each other, cannot dispute an investigator, and are guilty of whatever he or she is accused of, so dont try too hard to find a way to save his or her career. I worked for the UFT from 2007 to 2010, and I was hired by Randi Weingarten. I did not agree that everyone was automatically guilty of the specifications they were given, and I looked into each case. The DOE and UFT, in order to stop any employee targeted for termination from getting a vacatur or dismissal of the decision of an arbitrator, changed the rules for appealing a determination made at 3020-a in 1994 and several times afterwards. The New York State Education Department Commissioner no longer was the office of jurisdiction where decisions were made to sustain or vacate the decisions made at 3020-a. After 1994 people dissatified at 3020-a had to file an Article 75 to the New York State Supreme Court instead of NYSED. To many non-Attorneys, filing anything in court is frightening. That was, I am sure, a main reason for the change. To further hamper anyone from appealing, the statute giving a petitioner 30 days to file an Article 75 was shortened to 10 days, with another 15 to amend. NYSUT attorneys never take on a case that was lost at 3020-a, this is another problem. After a 3020-a is closed and decided, NYSUT attorneys always write the client and say, in general, sorry you did not win at 3020-a, however, we are not going to help you appeal. Goodbye. The New York State Supreme Court is a mangled mess right now, desperately in need of a total overhaul. The judges are arrogant with their immunity from prosecution, and some judges, like Cynthia Kern now on the 6th floor at 60 Center Street, could not care less about the facts in a case. She grants dismissal of any and all petitions filed by a teacher or any other DOE employee. Her loyalty is very much in the interests of the New York Law Department and the DOE. Sometimes good decisions do come out of the supreme court. The case of Christopher Asch is a case that won a vacatur of the decision of arbitrator David Hyland. Asch signed his petition as "pro se". NYS Supreme Court Judge Manuel Mendez overturned the 6-month suspension, gave Chris his backpay, and ordered the reimbursement of the money spent on a psychiatrist. Recently David Hyland was again overturned, this time by NYS Supreme Court Judge Lucy Billings in the case of Nicole Moreno-Lieberman. Arbitrator Hyland ruled in February 2011 that a NYC Dean, Moreno-Lieberman, had to "learn her lesson" and pay $7,000 for after she left her office for several minutes and the father of the student who was being discussed as threatening to commit suicide took home a note his son had written on a napkin. Hyland punished Dean Nicole Moreno-Lieberman for not preserving a copy of the note and for her "serious negligence...impeded the investigation". NYS Supreme Court Judge Luck Billings says this fine is "shocking to the conscience...By delegating unbounded latitude to respondents and Hearing Officers in these administrative actions, the statutory and regulatory scheme leaves their decisions subject to untrammeled discretion." Kudos to Judge Billings, who seems to see that the 3020-a arbitrators in New York City need a reality check, and not just a check from the Gotcha Squad for throwing a case. Its just the beginning, thousands of teachers are harassed and resign before they are brought up on charges. I was told that if I resigned before the charges were presented to me (four months after I was told I was under"investigation"), then I would leave with a clean record--Klaus Bornemann forgot to tell me I'd be on the I/I list forever unless I fought it in Court. I was naive, I believed the arbitrators would not debase themselves and be biased. Then my NYSUT Attorney told me my arbitrator fired everyone; in fact the UFT had voted her off the panel, ten years ago, but the DOE offered the UFT an extra seat on the collective bargaining committee for as long as the UFT allowed Eleanor Glanstein to remain on the 3020-a permanent arbitrator panel. And so I was fired for being assigned by my Principal self-contained special ed classes for my entire program for an entire year when I have no license or background in dealing with special ed; most of the classes had students diagnosed as Emotionally Disturbed. Then they stipulated to my exemplary subject matter skills but said I was incompetent in classroom management, the administration had seen a student walk out without a pass to get a drink at a water fountain 1 foot from the classroom door. another called out his answer in class during an observation, the "do now" was 7 minutes for a class of students who find it difficult to focus and are distractable--it should be no more than 5 minutes, etc. What a waste when I was the best prepared biology teacher that ever worked for the DOE. Therefore, the Principal would rather put me in a position where she could find B.S. fault with me than to allow the advanced and capable students benefit with what I could imbue then with. The DOE attorney at the 3020-a said the assignment to special ed classes should not be mitigating because I would have had to grieve it and win (and my chapter leader told me it was too late in the term to change every teacher's program--but I grieved it before school started--the Principal elected not to hear it for 7 weeks!) Funny part I offered to help--I wrote a comprehensive plan of incentives to get out students to strive to achieve starting with color coded IDs which would let everyone know what grade placement the student had earned sufficient credits for along outings, Broadway shows, meals in Restaurants, to students of the "month" (a short enough time that students could show improvement--and there would be two cohorts --for best grades and for most improvement. Principal was so threatened she tried to put a letter in my file for distributing my proposal without her consent --UFT chapter leaders consent was all that was necessary, by precedent. Principal lost her school, DOE settled my lawsuit in my favor, and now all the other similarly situated teachers ask for my help --- but it takes the rare judge not to go along with the "program." What observers fail to understand is the scale at which this is being done. I try as best as I can to get the number of teachers given "U" ratings over the last 15 years, the number removed from regular assigments, the number unlawfully brought up on charges by their Principals who are afraid of losing their own jobs--the great old Principal with grandfathered tenure --do not do this --their schools are happy places to works at and have been for decades--it says more about the Principals than the teachers when one Principal sends 9 teachers to the rubber room in 2005-2006 and is voted Principal of the Year for 2006-2007--the Bloomberg Administration is rewarding the Principals for ousting tenured, high paid, and long-service teachers to save billions of $$$$$ by replacing them with cheap inexperienced, teachers who will never earn tenure, will never get vested in a pension plan that the city does not want to honor. Tier I teachers, almost a relic of the past if they worked from 22-62 retired a 100% final years salary plus no FICA, no Medicare tax, no state or city income tax ergo a pension payout equivalent to 125% prior take home. Tier I who worked from 22-42 and then did something else, as long as they had their QPP in Variable A, 13 years later at age 55 would retire at greater than 100% of what their final years pay was when they left--and only now is the life expectancy for teachers (no hard labor, nor dangerous assignments and adequate medical care covered by the employer) 30-40 years after they begin to get the payout. Its to avoid that cost that there is an overwhelming pressure to lock in the pensions where they are rather than accrue an additional liability of ~$80,000.00 in lifetime payout for each year the teacher continues to teach beyond this year for teachers with 20 or more years in the system and $72,000.00/year for each year the teacher teaches until 20 years of service. So economics demand they get out all tier1-2 immediately if not before, that they get out tier 3-4 teachers ASAP and that only tier V teachers where the teacher pays most to the accummulation remain so the city does not go bankrupt. More important so that Bloomberg and his other billionaired friends do not foot the bill. When confronted with these facts. they answer that they are improving the schools as well--but they are not--its Rumplestiltskin without the elf! The "bottom line" Principals do not know how to achieve higher test scores, so they blame the teachers who know that they can't do it, keep the submissive new and cheap teachers so at least they get kudos for savings. They scrub the scores and get big bonuses for student achievement, (they even embezzle to milk the system as their days are always numbered). And Bloomberg in behalf of himself and his friends have ended tenure, drastically reduced future pension obligations, lowered average salaries--and enriched the union because if there are 70,000 teachers earning S50,000.00 per year instead of 50,000 teachers earning $70,000/year then the UFT earns an additional $22,000,000.00 in union dues so it goes along. Betsy and I should write a book "Why the DOE does not care that Tyrone does not want to learn to read" --Mayoral control of the schools for reform was for the purpose of saving massive amounts of money. whether or not the students benefited, or even whether the students got less--Because just as the teachers assumed to be guilty or incompetent before the fact--it is worse that the students going to the public schools of NYC are presumed to not be amenable to getting an education, in any event--so at least we should save the money--and not all go bust in the process. It is a social Darwinism approach that the best teachers and the best students will outmaneuver the system and benefit from it. They'll even give me as an example, that I came to Randi's and her counsel's attention as someone wrongly removed and UFT hired NYSUT attorneys to prosecute a case in my behalf which the NYC Law Department settled almost immediately. They told me there was at least one case that did as well if not better. Demonstrable provable sexual harassment by a superior administrator against a DOE subordinate employee, usually can do well. But wrongful 3020-a charges do not--I was very lucky. A group of us need to go to the legislature and get hearings, because the problems that are seeking a solution need the legislature to intervene. The false accusations, defamation, loss of profession, mental anguish, blackballing I/I list--is simply criminal and intentionally so. Every prosecutor in the ATU and TPU must understand that they all are committing prosecutorial misconduct. It is as bad as prosecutors sending defendants they know to to be innocent to life sentences just so they can add to their conviction rate! Please contact me to volunteer to work on a legislative initiative both to clue in the legislature as to what is going on, and to write and lobby new legislation for NYC that will restore integrity to a corrupt and misused disciplinary process. Thompson’s donor, Seymour Zises, also gave in $4,950 in 2009 – which the former controller promised to donate to charity after it was revealed that Zises had invested clients’ money with Ponzi schemer Bernie Madoff. But Thompson has yet to make the charitable contribution. 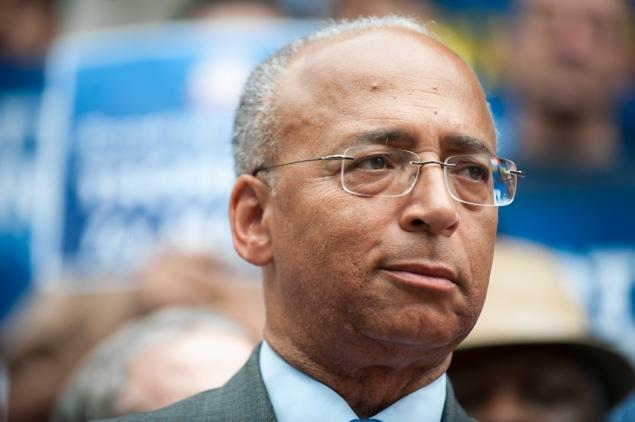 The last time William Thompson ran for mayor, he promised to donate thousands of dollars from his campaign war chest to charity after the Daily News discovered that one of his biggest longtime donors was linked to Bernie Madoff. But four years later, Thompson not only hasn’t donated the money — he’s also pocketed even more campaign contributions from the Madoff-tainted financier Seymour Zises. Zises — who was sued by victims of the Ponzi schemer for secretly investing the majority of their money with Madoff — has given more than $21,000 to Thompson’s various campaigns over the years. When The News uncovered Zises’ link to Madoff four years ago, Thompson promised to give $4,950 from his campaign coffers to charity. That’s the amount Zises donated to Thompson’s 2009 mayoral run. But despite the vow — given four months after the reviled Madoff was sentenced to 150 years in prison — Thompson has not doled out the money. Meanwhile, two years later, Thompson — with his eyes still on City Hall — accepted the first of what would be four donations from Zises for his 2013 run. to Bill Thompson's mayoral campaign, as well as given to Joe Lhota and Anthony Weiner. In total, Zises has given $4,000 for Thompson’s latest bid for the mayor’s office. 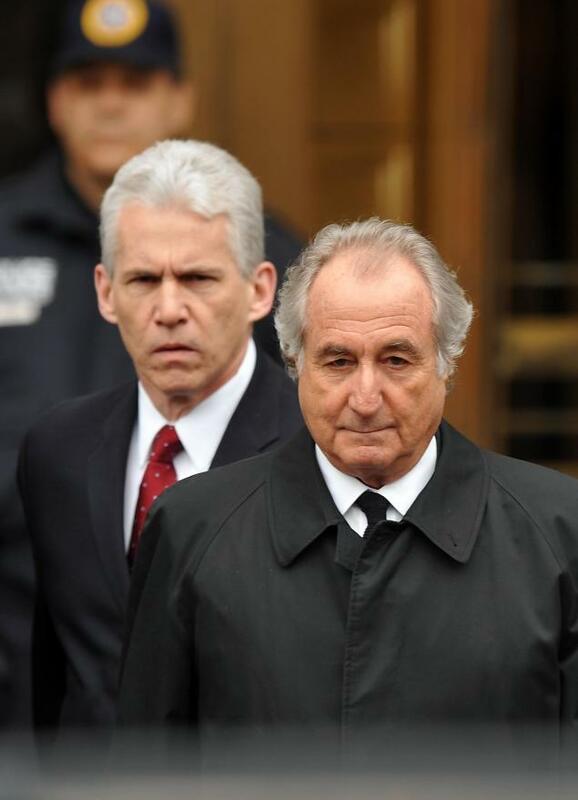 A group of Madoff victims sued Zises and his firm Family Management Corp. in 2008. The victims claim Zises told them their $25 million was diversified over various funds, when the majority of it was secretly stashed in a Madoff-feeder fund. They also claimed Zises grossly mismanaged their money by conducting no due diligence into Madoff’s too-good-to-be-true returns. Some of the lawsuits against Zises were dismissed or dropped, but one of the victims — David Newman — has appealed the ruling in his case, which is pending in the 2nd Circuit U.S. Court of Appeals. The deep-pocketed Zises has also donated $1,000 Joe Lhota and another $1,000 to Anthony Weiner in this year’s mayoral race. relives bombshell stories over the years.